When Ash and I were first married, we used to frequent a restaurant called the Chaparosa Grill. 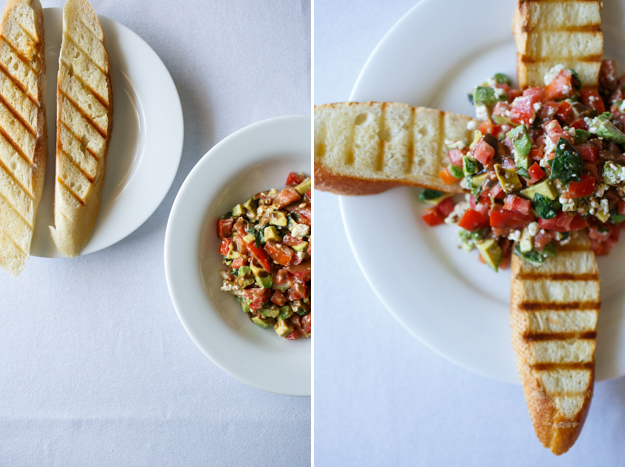 Every time we dined there, we always ordered the Avocado Feta Bruschetta appetizer. Because we were so enamored with this particular dish, I thought I'd try to recreate it at home. And these were the delicious results. First I diced the tomatoes, avocados and basil leaves and mixed them together in a bowl. I added the salt and pepper, followed by the feta cheese. Then I cut the loaf of bread in diagonal shaped slices, buttered one side and grilled them using my cast iron pan on the stove. 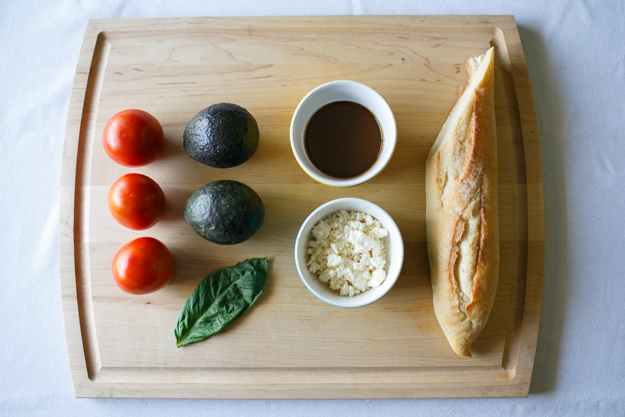 Afterwards I assembled the bread on a plate and topped the slices with the avocado bruschetta mixture. Finally, I drizzled the balsamic vinaigrette to top it off. This recipe isn't exact, you can always add more or less. Ash doesn't care for Avocado, so I make hers without it.